Crystals are used for spiritual and healing purposes because different types can have amazing qualities which help the people that use them. If a particular crystal does work for you, it doesn’t matter whether it’s fake or not because it’s all about healing, so you should continue doing what makes you feel great. Many people love surrounding their homes with crystal themed accessories, so it’s great when you can find a similar cheaper alternative. However, if you want to spend a lot of money on a genuine crystal for your personal use or as a gift, you should watch out for the priced-up fakes that can be displayed as the real deal. It can be disappointing if you’ve spent good money on a high-quality necklace, only to find out it’s not what it was cracked up to be. It is why we’ve put together this handy guide that could help you. What are some of the giveaways of a fake stone? It’s got an unusual, playful name. Semi precious stones and crystals usually have very traditional, historical names such as Amber, Tourmaline and more. If you are shopping for a crystal and the description is unusual, you might want to stay avoid buying it before you ask questions. If it’s called “cherry-red” or anything similar to this, there is a big chance it’s not genuine. An actual crystal will have it’s real name and also a possible link to its history so you can find out it’s key qualities. Of course, buying these fake crystals is absolutely fine as a cheaper accessory, but it might be best to best to know what you’re getting before you spend £30+. You might look at an extremely bright crystal and believe you’re super lucky to find it for such a convenient price. However, someone might be tricking you. It’s essential that you have a look at the cracks visible in the stone because it could be the biggest tell-tale sign it’s a fake. Many crystals and stones have cracks or dents in them that have occurred naturally but when they are dyed, there will be a significant build-up of colour where it’s slightly damaged. Genuine crystals don’t commonly look saturated in a particular colour, so if it looks this way, it could be fake. Even though you can buy some crystals that are the same type, they won’t all look identical. If you can barely tell the different in colour, flecks and size, it’s highly likely that they are man-made and mass produced. Wholesale crystals at low prices are often sold in bulk for cheap yet attractive jewellery, but if you are looking for something upmarket, go to a very specific crystal shop. We do believe the fake ones are an excellent way to make jewellery such as bangles and bracelets for a lower price. This alternative means you could wear them whenever you liked, without worrying about damage to an expensive item. Semi-precious stones can be transported to a seller from foreign countries where they originate from. Usually, a seller will be able to tell you where it’s from and the qualities it can give to a spiritual user. If they have no idea about the stone and won’t tell you where they’ve bought it from, there is also a high chance it’s not 100% genuine. This can apply to some crystals, so do your research. Amber, for example, is a material which comes from an extinct pine tree. It means (yes, believe us) it smells of pine. To get an “Amber” look to a stone, many people burn it to change the colour to a yellow or orange shade, which can so easily fool a buyer. Also, genuine Amber will float in salt water, so test it out. If it sinks to the bottom, it’s probably a fake! It’s best to research the type of crystal you want to purchase so you have the knowledge you need to tell whether it’s real or not. We want to say again that if you do find that a crystal does help to improve your mental and emotional wellbeing, do continue to you it as you wish. 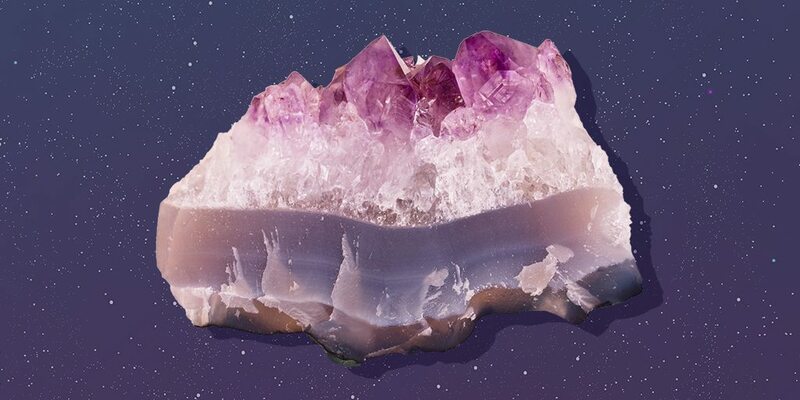 These above tips are a loose guide on how to tell whether you’re buying a genuine crystal, but we’re not stating that it’s absolutely necessary for you always to use a natural stone for meditation or spiritual purposes. However, we do hope this guide has helped you if you were considering buying a stone as a gift or for yourself.